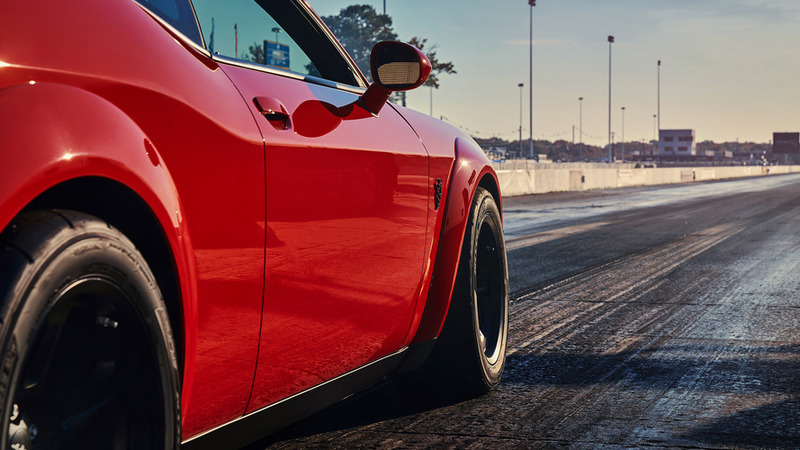 That's officially quicker than the Tesla Model S.
The new Dodge Challenger Demon has been the source of much debate since its debut. Tesla faithful have made it a point of emphasis to note that its impressive 2.3-second 0 to 60 mile-per-hour (96 kilometer-per-hour) time was still slower than that of a Model S P100 D, which clocked a record 2.28-second run. But don’t be so sure of yourselves just yet, Tesla fanboys. 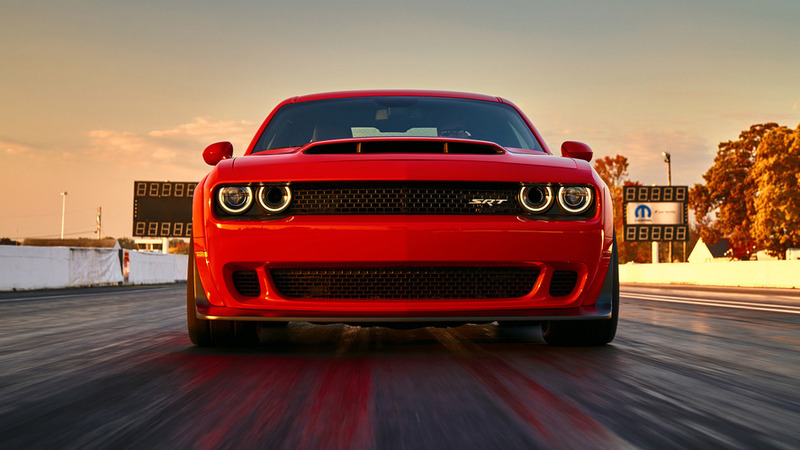 According to Motor Authority, under the same circumstances as Motor Trend’s famed P100D 0-to-60 run, the Dodge Challenger Demon will best the Model S still. 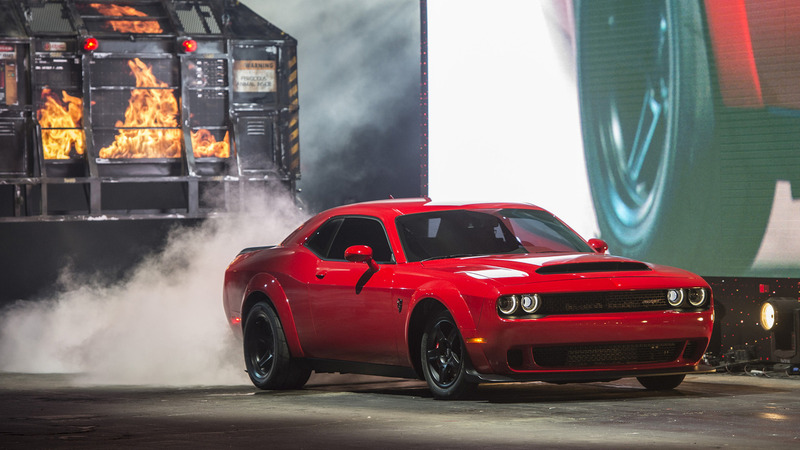 From a standstill, the Demon will sprint to 60 mph (96 kmh) in 2.3 seconds, but with a rollout – which is an extra seven inches allotted before the timer starts – it's even quicker than that, said Head of Passenger Cars at FCA North America, Tim Kuniskis. That’s right, 2.1 seconds to 60. Of course, that’s with the optional Direct Connection powertrain controller, no passenger or rear seats, racing slicks, and running on 100-octane racing fuel, which can all be optioned directly from the factory. Without a rollout and with all of its standard equipment, the Tesla P100D is able to achieve a 2.53-second 0-to-60 time, which is still quick. We don’t doubt that there will still be plenty of debate surrounding the title of quickest production car even after the tire smoke has settled. 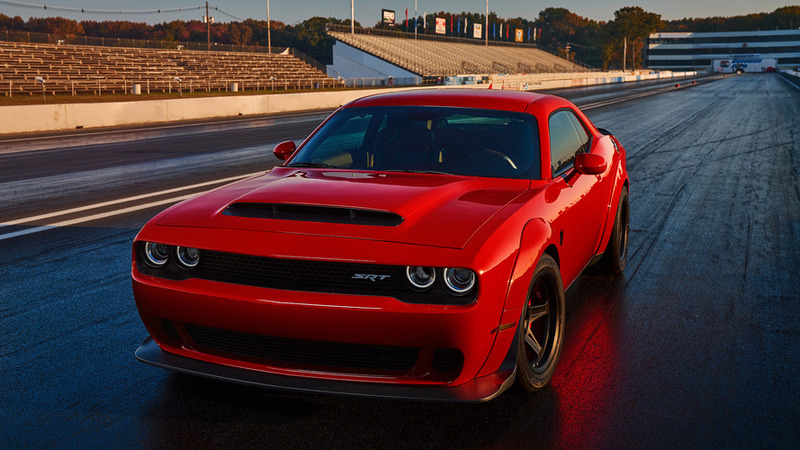 In any case, the Dodge Demon still comes from the factory with a supercharged 6.2-liter V8 good for as much as 840 horsepower (626 kilowatts), which in itself is an impressive feat of engineering.